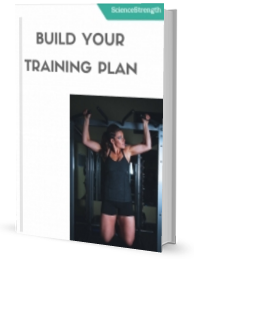 ARE YOU LOOKING FOR AN EASY WAY TO LOSE FAT AND BUILD STRENGTH? But that's not all! You're getting these great bonuses with the package! You don't need to worry about wasting time writing a shopping list and being overwhelmed by all the different options in the grocery store. I have done the job for you and made a list of all the essential foods you need for your meal plan and the delicious recipes in the recipe book. It saves you time and guess work. What are you waiting for? Get the package to get one step closer to your dream body NOW! Get the entire package for only $37 instead of $79! Important: After the purchase, click on the 'return to merchant' button to download the package. Additionally, I will email you the download link. If you want only one part of the package, you can get it separately.